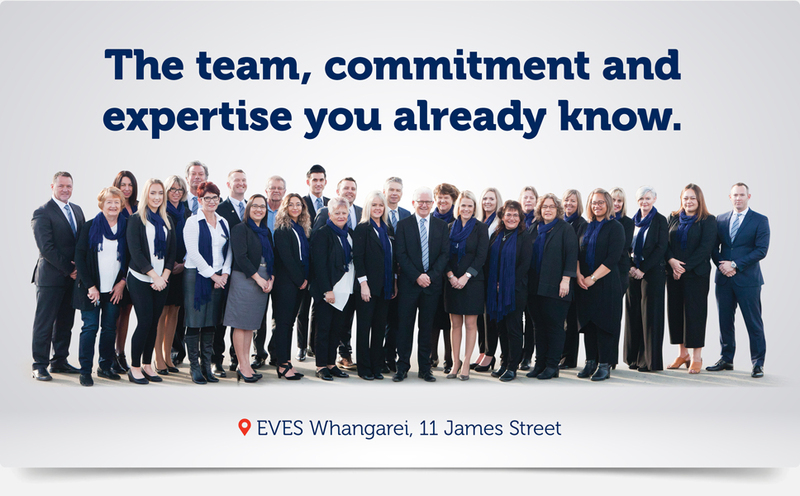 EVES Realty has been serving provincial New Zealand for 50 years. We’ve now arrived in Whangarei, bringing a refreshing, dynamic approach to all aspects of the property market. Our team may have rebranded to EVES, but we are the same passionate, committed and successful people that have been delivering excellent results for our clients for more than 20 years. This team, led by Paul Beazley and now backed by the EVES brand will only go from strength to strength – and are ready to help you with your property journey today.